What would National Poetry Month be without a little self-promotion? April is a busy marking month for me but I did manage to squeeze in three very different events related to everyone’s favourite national pastime: a reading, a youth workshop, and a writers’ skill-sharing session. Thanks to those involved for making a poet feel appreciated and, dare I say, useful. I am now planning a second Poets Submit session; get in touch (aesmithwriter@gmail.com) if you’d like to be on my mailing list. This session is for writers who want to learn from each other about the process of getting their poems into print and online publications. With a focus on sending out individual poems (as opposed to a book-length collection), we will talk about matching poems to publications, presenting your poems to an editor, publicizing the work when it comes out, and maintaining perspective in the face of rejection. Alison will provide guidance and materials, but participants are also encouraged to bring sample journals, links, and tales of submission woes and thrills to share with the group. Fee: Pay-what-you-can $5 – $15. Alison Smith lives and writes in New Germany, Nova Scotia. Her poems have recently appeared in Guernica, Lemon Hound, Fjords Review, and Event. In 2013 she was featured on CBC Writes as a finalist for the CBC Poetry Prize. 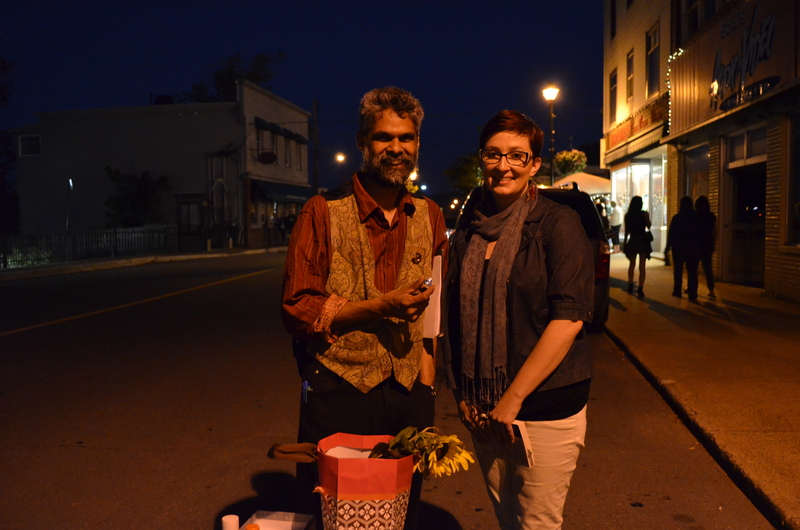 For the third year running Brian Braganza, Rachel Edmunds, and I read poetry during Afterglow, Bridgewater’s outdoor art festival. We were missing Alice Burdick and Darren Greer, but we managed to have some fun anyway. On a related note, South Shore folks should check out the new Art Happening space on King Street. Follow the links to vote for community funding from Aviva. Just what does it mean to be "left wing" in 2016? The tyrant's foe, the people's friend.